An international team of researchers is trialling specially designed shoe insoles aimed at improving the mobility of people with MS.
"Many people with MS experience problems with walking which can make day-to-day activities difficult and often leads to falls, so improving walking ability is of primary importance in maintaining health, independence, and quality of life," Dr Hatton said. 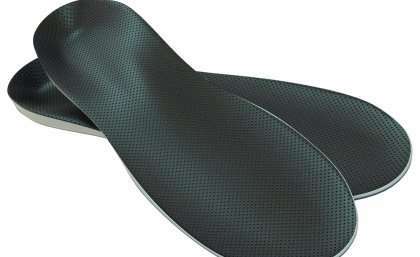 "Evidence suggests that wearing textured shoe insoles, which are designed to stimulate receptors on the soles of the feet, may be one possible option to help improve gait. "We now need people with MS to help us investigate whether the novel insoles influence the way the leg and trunk muscles work while walking on both even and uneven surfaces." "Foot sensation plays an important role in keeping the body upright and balanced when walking, yet we know from previous studies that people with MS often have poor sensation on the soles of their feet," Dr Hatton said. "Therefore, wearing a specially designed shoe insole, which enhances sensory information at the feet, could help people affected by MS to walk better. " Dr Hatton's international research team includes UQ's Professor Sandra Brauer and Ms Katrina Williams, Professor Graham Kerr of the Queensland University of Technology, Professor Keith Rome of the Auckland University of Technology, New Zealand, and Dr John Dixon of Teesside University, UK. "It is hoped that the study leads to the development of a new treatment technique, specifically an inexpensive, easy-to-administer shoe insole, which could assist mobility and independent living," Dr Hatton said.